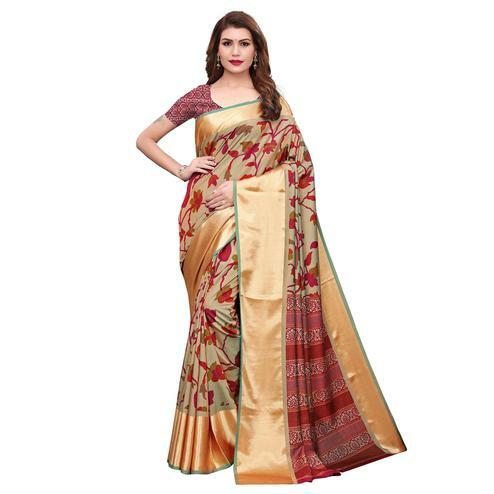 Make your appearance more traditional with this red-beige digital printed saree. 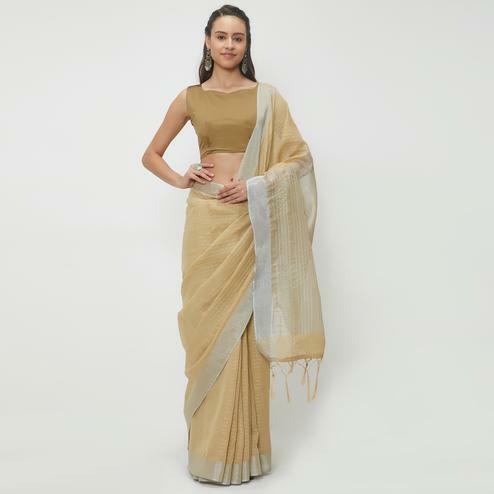 The saree is made out of georgette fabric with beautiful lace border which not only looks good but it's also comfortable to wear all day long. 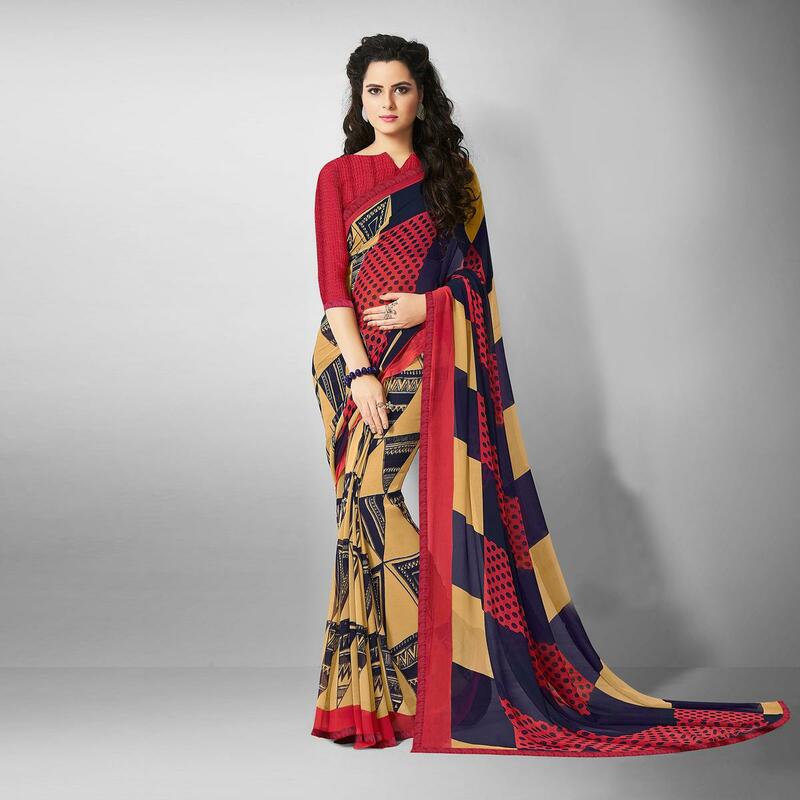 Saree comes along with un-stitched georgette blouse piece which can be stitched as shown or as per your requirement. 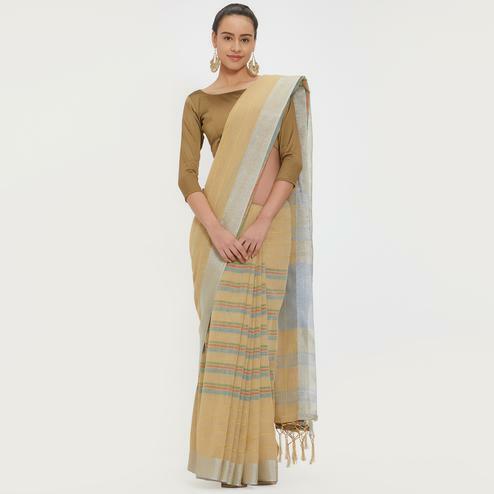 Suitable to wear for casual outings, office, regular, social meets and other homely events and parties. 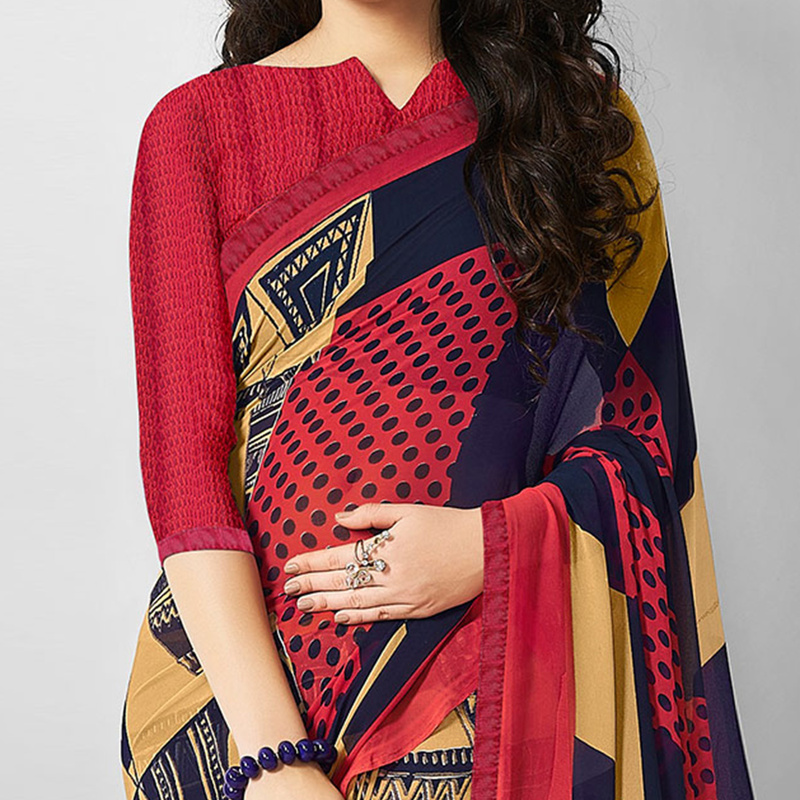 Team it with stylish accessories to make your looks more beautiful. 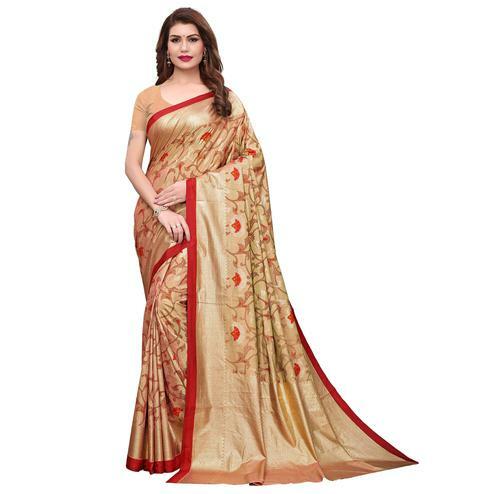 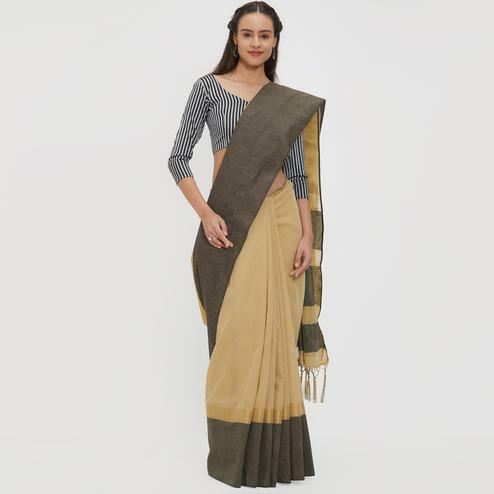 Buy this saree now as it's a unique piece with attractive color combination which is rare to find.